This article focuses on the best wineries in Healdsburg and tasting rooms in the Dry Creek and Alexander Valley from a tourist's perspective. First, the lay of the land. Dry Creek is west of US Hwy 101 and only 15 miles long and about two miles wide. It's best known for Zinfandel wines. On the east side of the highway is the Alexander Valley, dominated by Chardonnay and Cabernet Sauvignon with respectable amounts of Merlot, Sauvignon Blanc, and old vine Zinfandel. You need to know that West Dry Creek Road isn't the west end of Dry Creek Road, but a separate route that runs parallel to it. Pay attention to addresses to avoid getting as confused as I was the first time I visited. If you're new to wine tasting, some tips can help you get the most out of your day. At some winery tasting rooms, you're lucky to get enough attention to have your glass filled. By contrast, these top places offer a chance to relax in beautiful surroundings and get personal attention. It was a tough job, but I checked out every one of these places just for you. They not only make great wines but most of all, they're really fun to visit and offer something besides the usual stand-at-the-bar and sip experience. Jordan Winery is always on the tip of my tongue when I talk about places I like to go. They make just two kinds of wine: Chardonnay and Cabernet Sauvignon. Both are outstanding. Even more special is their guided tour that takes you through their gorgeous property. They also have some of the best wine club parties around. MacRostie Winery: Wine aficionados have known about MacRostie since they had to seek them out in a Santa Rosa warehouse. Now, they have possibly the most beautiful wine tasting room in all of California and the friendliest, most attentive staff, too. In fact, they're so friendly that you can't get to their front door before they greet you and offer a glass of Chardonnay. The wines are excellent and they offer some interesting tasting flights that allow side-by-side comparisons. With several comfortable seating areas, they can accommodate quite a few guests without feeling crowded. Francis Ford Coppola Winery has some great wines to taste and they're ones I drink at home from time to time. But the things that make this winery really special are Coppola's private movie memorabilia collection, a restaurant, and a lovely outdoor swimming pool where you can lounge for a while. Ridge Vineyards Lytton Springs is renowned for the quality of their wine, including the Cabernet Sauvignon that put them on everyone's radar at the famous Judgement of Paris wine tasting. On the weekend, an advance reservation for wine tasting is a good idea. But don't just stop in for a sip. Instead, sign up for their Estate Tour and Tasting. It's one of the best, most down-to-earth and easy to understand winery tours I've ever taken. Bella Winery specializes in old vine Zinfandels and offers tastings in their cave, but the really fun thing here is the Ultimate vineyard tour. This tour takes you through the vineyards in a World War II military vehicle. They're located on West Dry Creek. Bubble Room at J Vineyards is a step up from the traditional tasting room. 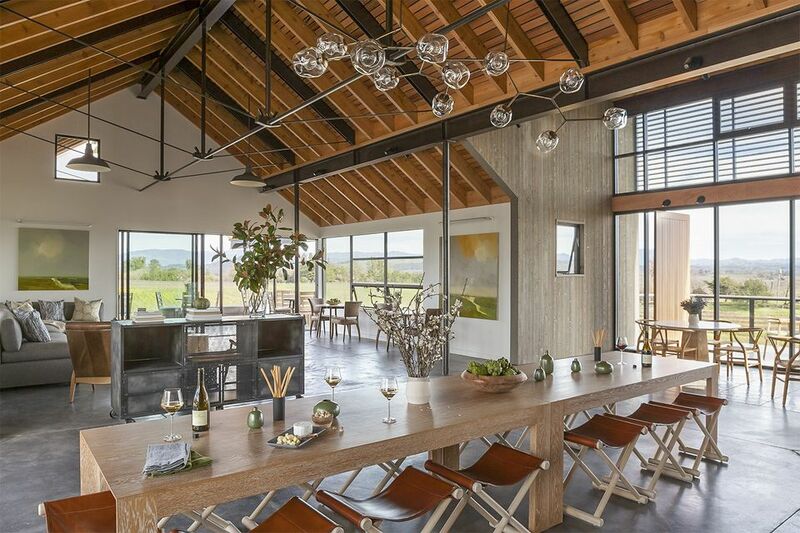 This sparkling winemaker located a few miles south of Healdsburg has wine and food pairings and tasting of library and small-production wines. Free tasting is much easier to find in the Healdsburg area than in Sonoma Valley or Napa. In fact, the area has too many wineries offering free tasting for us to list here. If you're looking for something to take to a winery for a picnic, try the Jimtown Store on CA Hwy 128. The Dry Creek General Store on Dry Creek Road also serves a selection of items that make great picnic fare. If you plan to have a picnic at a winery, don't be THAT guy who takes and never gives. Instead, buy a bottle of wine from them. If you want to make more than just a day trip out of your Healdsburg wine-tasting trip, use some tips to plan a weekend getaway.